World leaders have converged on The Hague, Netherlands to call on countries to take urgent actions toward reducing the impact of climate change to water, livelihoods, peace and security. 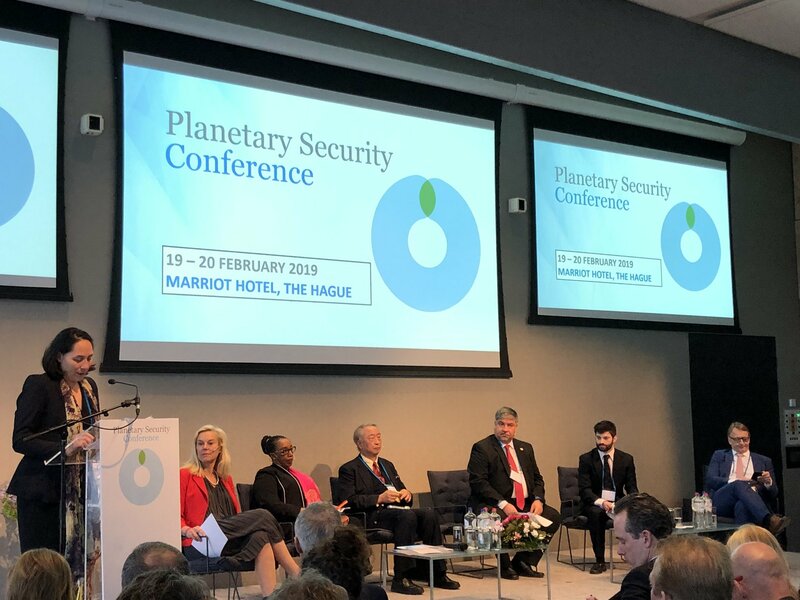 At the opening of the Planetary Security Conference on Tuesday, they insisted that the impact of climate change on water, peace and security on development had been devastating. Ms. Monika Dhian-Ho, the Director, Clingendael Institute said that it could not be “business as usual’’ as climate change issue was at a tipping point. She said over the last years, some researchers had found out that in 26 countries, climate change had now become the top global threat, adding that this had already resonated in the statements of world leaders. She quoted the German Chancellor, Angela Merkel as saying that the world was living in an age where climate change affects all parts of the world. She said that efforts were on to work through practical action and beyond awareness and also form concrete recommendations by making it doable. She listed challenges such as regional migration, insurgency, and loss of livelihoods, especially in the Caribbean, Iraq, Mali and the Lake Chad region, calling for broader awareness on best ways to address climate-security issues. She said that the climate change had grave consequences for global security, noting that the impact was also felt in climate security, insurgency, terrorism, proliferation of mass weapons and livelihoods. Ms. Sigrid Kaag, the Netherlands Minister for Foreign Affairs and Development Cooperation, said that the conference was borne out of necessity, vision and determination to make climate action a global issue. She said that the world in the last decade could be described as successful economically but that was not the case as far as global realities of inequality were concerned. She said that the negative impact of climate change had united the world, saying this was evident with global acceleration of desertification, extreme weather events, and steady depletion of natural resources. She stressed the need for sustainable solutions to improve ways to enhance collaboration, adding that there was the need for knowledge sharing for innovative ways to deal with climate adaption. Dr Loiuse Van-Schaik, the Head, Sustainability Research, Planetary Security Initiative (PSI), noted that climate change affects human security and could increase conflict risks. Van-Schaik said that the institute sets out best practice, strategic entry points and new approaches to reduce climate-related risks to conflict and stability, thus promoting sustainable peace in a changing climate. She said that the conference targets what could be done to successfully reduce security risks linked to climate change and other environmental challenges on the ground through international diplomacy. Van-Schaik said that the conference also aimed at exploring the climate-security linkage in specific issues and regions to identify entry points and actionable areas for policy and response. 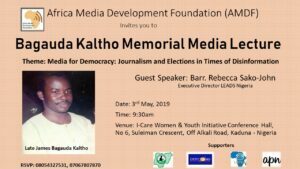 she said that this would also involve the development of ideas that would help shape policies and implementation strategies for the next 15 to 20 years. She stressed that the conference would continue to provide an opportunity for practitioners and high-level policymakers on climate change and security to meet, exchange information and increase cooperation. She said that journalists had a duty to develop innovative story ideas on global ideas in a local way toward seeing that actions are taken to reduce the impact of climate change on the environment. The News Agency of Nigeria reports that the high level conference is organised by the Planetary Security Initiative, supported by Free Press Unlimted and the Clingendael Institute. The conference thematic focus includes contribution of land and climate policies to peace, urban risks and instability, geopolitics of energy transition.